Each person experiences and manages stress in their on way, our coping skills – or lack of them – come from learning from those around us as we’re growing up. Depression comes in so many different forms and the symptoms are so varied. 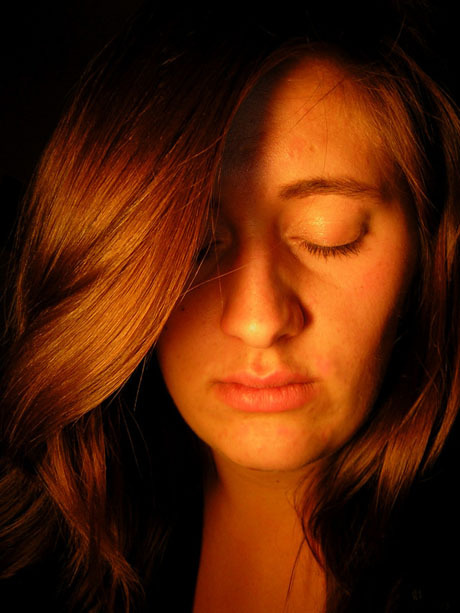 Mild depression is often short lived and can be easily changed. The first step has to be a diagnosis. If you feel you are experiencing any of the depression symptoms, then see your GP. They may decide to send you to a psychiatrist. Especially if there are manic episodes where you feel exceedingly high then feel absolutely dreadful. This could be Bi-polar and medication is the best solution for this problem, as it is different from clinical depression. For clinical depression, the GP may prescribe you anti-depressants. Perhaps suggesting counselling or cognitive behavioural therapy on the NHS. For others, it could be mild depression that takes hold because of the weather. Christmas anxiety and depression is becoming more popular too. It also doesn’t matter whether you’re a teenager or a pensioner, mild depression can hit at any time, and the age when it first hits is getting younger. There are more options though that have helped thousands over the years. But at the end of the day you’ve got to decide you want help. You decide which is going to be best for you and you’ve got to want to change. There are degrees of depression from the mild depression to the severe or chronic depression. It can be that you just feel aimless, helpless, hopeless, anxious, indecisive, lack concentration or have poor self-esteem. Sleep is disturbed, you feel tired all the time and you have a sense of humour failure. These feeling can last from a few minutes to weeks at a time. Major depression is only diagnosed professionally from the diagnostic and statistical manual of mental disorders or DSM. Depression is categorised as a mood disorder and it includes 5 or more of the following symptoms that have been present over a two week period and has at least a depressed mood or loss of pleasure amongst them. The person may feel sad or empty, tearful, guilty, reproachful, worthless, helpless, or suicidal. They may lose or gain weight, feel tired. Finding that they wake up early and can’t get back to sleep. Or become so agitated the doctor might check for Parkinson’s as well. Lack of dopamine in the brain is associated with these shakes. If someone is suicidal seeking help both medically and emotionally is a must. See your GP and talk it through with the Samaritans. If you have been to your GP and they have diagnosed you with mild depression, but you do not want to take anti-depressants, then please give me a call to talk through your options. I use Solution Focused work to move you forward in finding times when it’s not so bad and looking at the activities you can do to help. Activities such as going for walks, being around people that make you feel better. Hypnotherapy can help change unhelpful habits and regulate sleep. Positive behaviours such as lowering the feelings of being overwhelmed are developed. So if mildly depressed moods are a problem in your life and you need some help with some of those changes – especially sleep – then call or text “depression” to 07508 658934, contact me or read up more here. Penny Ling is a widely experienced hypnotherapist working with everyone from top executives to stroke victims since 2007. She has been editor of Hypnotherapy Today Magazine and is a supervisor and mentor for members of the AfSFH and NCH.